WITH ONLY EIGHTH place Edinburgh standing between Leinster and a top seeding in the RaboDirect Pro12 semi-finals, the squad is using any tool at its disposal to up the ante and ensure complacency does not become a factor. Chief among the motivations is the wish to give captain Leo Cullen and former captain Brian O’Driscoll a winning farewell party from the RDS. “We’d like to go out with a win for Leo and Brian. We’d like to finish it out for them,” says Jack McGrath, though he later conceded that the sentiment can prove distracting. Keeping the tributes and ‘bon voyage’ banners in storage is made all the easier with a home semi-final almost guaranteed. Only a defeat without a losing bonus point could send the eastern province on the road for the playoff round, but anything less than a win could allow Glasgow steal a march to the summit of the Pro12. Either way, it looks like Leinster will be embroiled in an all-Irish contest in the final four. Edinburgh’s immediate future is much clearer, after shipping 55 points at home to Munster, the Scottish outfit need a win to stand a chance of playing top-grade European rugby next season. Again, though, McGrath and Leinster are using Edinburgh motivations for their own gain. “They’ll be hurting from that loss at home. Ross Ford, Greig Laidlaw and Dave Denton – they have the quality there and you can never underestimate them. 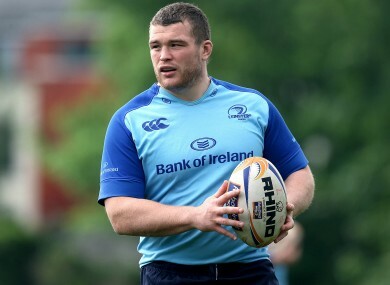 As for McGrath’s own season, the loosehead admitted it has been a task to cope with the increased requirements on his scrummaging talents, but having recovered from post-Six Nations injury, he is ready to try and end the year on a high note for himself, not just Cullen and O’Driscoll. Email “Encore for Cullen and O'Driscoll the major motivator for Leinster -- McGrath”. Feedback on “Encore for Cullen and O'Driscoll the major motivator for Leinster -- McGrath”.